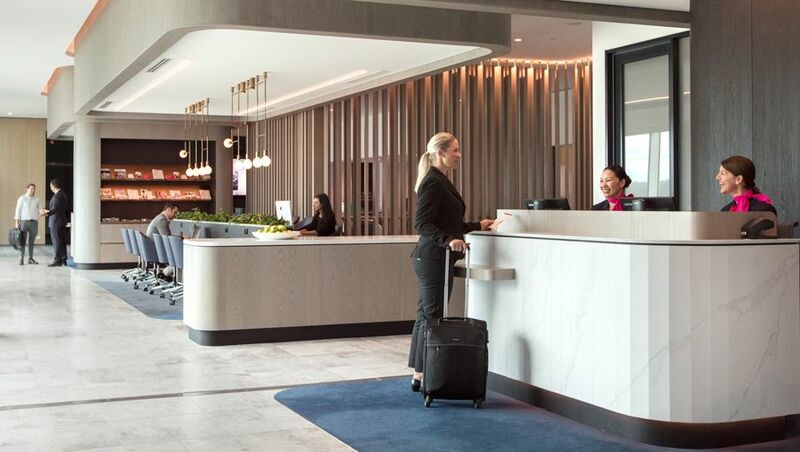 Whether you're hunting down a quiet place to work at what's otherwise a bustling airport or finding the fastest way to grab your coffee before zipping to the boarding gate, there's plenty to know ahead of your next domestic journey through Melbourne Airport. 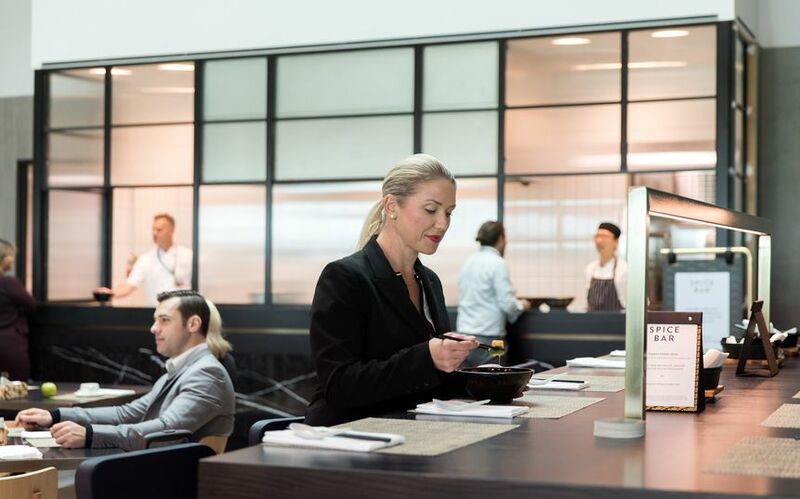 Here are our top tips for Qantas lounge lizards, whether stepping past reception with a Qantas Club membership or Gold or Platinum card. Flying business class or have a Platinum-grade frequent flyer card in your travel wallet? 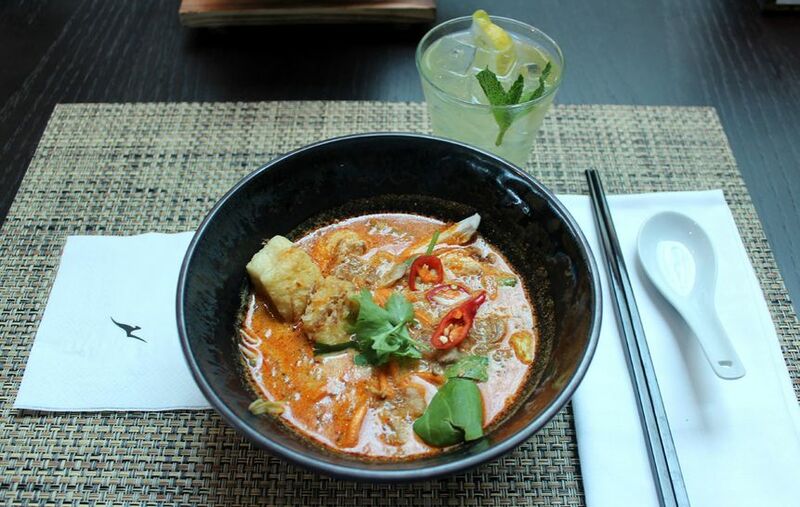 You'll have access to the Business Lounge, where you'll find Neil Perry's Asian Spice Bar open for lunch and dinner. Read more: What's next for Qantas' business class, first class in-lounge dining? 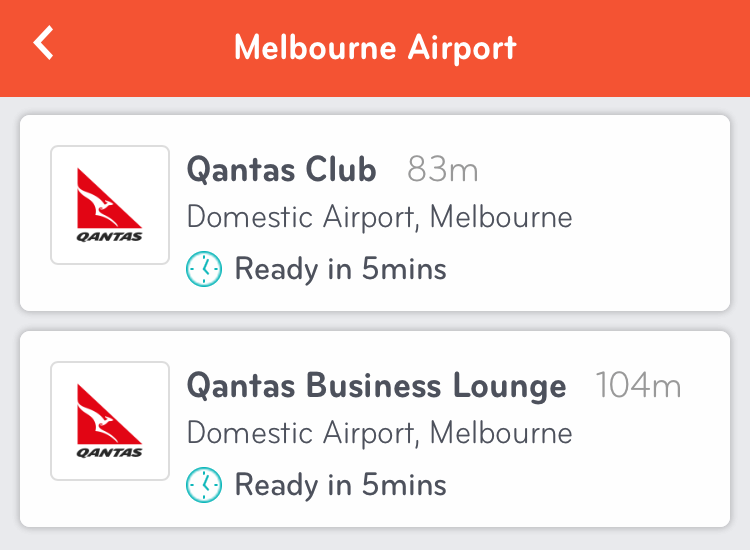 If your itinerary is a little more rushed, you can avoid standing in line for your coffee by placing your order through the Skip mobile app, for collection in either the Qantas Club or the Business Lounge. If you're in a hurry, make your order just before going through security screening – by the time you get to the lounge, your coffee is usually ready – either to enjoy quickly in the lounge, or to take straight to the gate when boarding is imminent. Even though Melbourne's Qantas Club and Business Lounge both offer dedicated working areas, being Australia's second-busiest airport, those spaces can still become busy: and with more travellers comes more noise, which isn't necessarily conducive to getting that work done. Clearly, most travellers set up camp at the first suitable place they find, and with these both resembling long rectangles, walking to the far end of the space usually does the trick, except on the busiest of days. 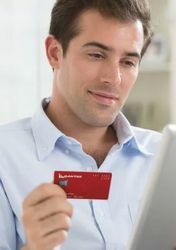 Unlike Qantas Gold frequent flyers and Qantas Club members who both need an onward boarding pass for lounge access, Qantas Platinum and Platinum One frequent flyers merely need a "same day" boarding pass, providing lounge access both before and after each domestic flight, wherever lounges are available. Most travellers would simply use this perk for a quick coffee or snack after their flight, but it's of bigger benefit to those arriving from longer journeys like the overnight treks from Perth, given the early morning arrival time and the availability of showers before heading into the office or to their next meeting, if not returning straight home. That privilege is also extended to business class passengers on that same overnight Perth-Melbourne flight (QF648), who can visit the lounge on arrival with a quick flash of their boarding pass, although other business class passengers don't receive the same benefit, unless holding Qantas Platinum status or above. Love the updated J lounge. I visit there a lot mainly for a quick bite in the early morning. However when I travel for leisure I do enjoy the updated lounge and the Spice Bar etc, makes Sydney Business look so outdated. Absolutely agree. Was there yesterday mid morning when it was quiet and enjoyed breakfast and getting work done without having to look around for a seat. Spice Bar is awesome and enjoyed a Sunday lunch in there with my wife. Great spot and well done Qantas. Would be great to have something new in Sydney but do understand this will be a long wait with priorities for the l Sydney Int F and B lounges and the SIN F lounge. The new MEL Qantas Club is fairly dreadful. I understand the Business Lounge is now really special but the Qantas Club is dark, crowded and poorly designed. The furniture chosen is cheap tables & chairs you may buy for your kids' for their first apartment from Fantastic Furniture. There are insufficient toilets and the lack of natural light is reminiscent of the T2 International Business Lounge. As you enter the new Qantas Club you get a brief glimpse of the Business Lounge as you turn right and feel very envious. I agree. The Qantas Club is dismal. You get a better aspect of the airport at the gate lounges. ummm been there several times in Business Lounge really not sure what the fuss is about as the breakfast is really so so and when there yesterday found the sausages inedible !! and the coffee wasn't the best I've tasted...the Sydney's coffee is better!! Very busy every time I'm there, usually late afternoons. Never had the black china nor such large portions. Altogether very rose tinted review. PS. Where are the bar staff? Not self serve! Totally agree with reeves35. I was there last Friday during the delay due to Sydney's shutdown. The chairs very uncomfortable and cheap, limited proper lounge seating. We thought it resembled a Coles' cafeteria. Atmosphere zilch. Interestingly all the Qantas Club or 'Business' lounges have no where to go to make a private business call without all an sundry listening in. I inquired about this at the reception and via email on many occassions, post flight. No one has ever come back to me, perhaps its just me but a dedicated space or small pod/room for phone calls would be great. Taking a complete business meeting room for a one person to use the phone seems a huge waste of resources? The business lounge, while swish, feels like one long shed with chairs in it. The privacy of the old work space around the back or the reclining seats around to the right were a nice break. A bit of quiet zone space.. not good bla bla bla when busy I get it, but you hear every conversation now.. universal open plan doesn’t always work so well. It’s a zoo! Goodness I was so looking forward to this lounge opening but I’m generally only ever ther in peak time and it is even now way too busy, crowded and certainly still worse than Sydney, Perth & Brisbane....... and for those looking for quiet space forget it. The eating area is poorly serviced and unclean and I base this view on multiple visits. It really Is a disappointment after all the time and money Qantas spent on it. Am I the only one that has been very disappointed with the spice bar food? Seems it should be great with freshly prepared meals but from a taste perspective I’ve been disappointed each time. Maybe I just get the wrong meals. Agree. Had that sweet and sour pork twice. First time the pork was tough and chewy, unenjoyable. 2nd time ok. 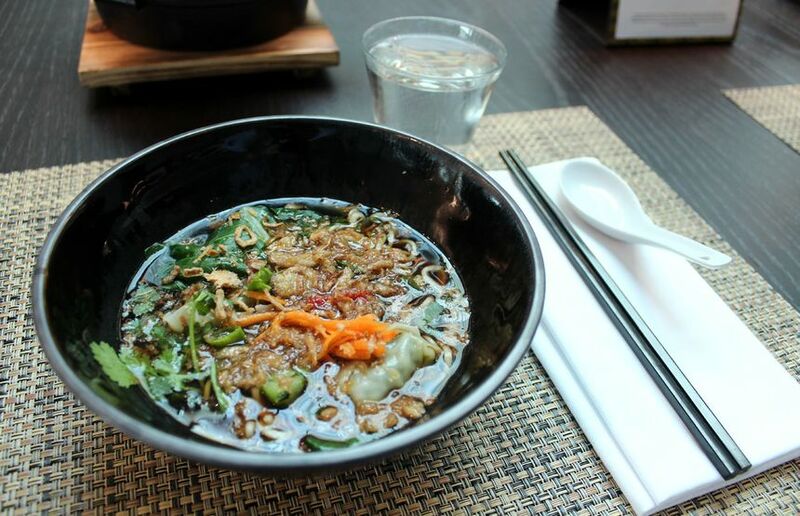 The noodle soups are ok, but very slurpy and messy to eat at times. Qantas International lounge in Melbourne is awful. I recently had a stopover of 7 hours. The food was like a handout to homeless. Drinks were ok, but I am not so much into alcohol. I have to admit I do miss the old Melbourne business lounge and its nooks, and the lack of natural light for the Club is a miss, but some of the comments above are a bit extreme. Both are fit for purpose spaces that have advantages over the old lounges. Would love some of that spice bar food to travel along to the Qantas Melbourne Business International Lounge.. I don’t want spicy before or after my flight! Down with NP and his rubbish. Isn’t Melbourne supposed to have the largest population of Greek outside of Greece itself? How bout some good Greek food? Comfort when you need it and healthy Mediterranean when you’re being good. SICK OF SPICY! Also hate BNE Mexican rubbish! We desperately need more places to continue to work in semi private relative peace and quiet. I was in the lounge on Tuesday before a 17:10 flight... no where to do work without everyone being able to look over my shoulder and see what I was working on or listen in to my phone calls. Lounge seating and the tables are at heights that do not allow for ergonomic laptop work... that’s when you can get a seat. Poor signage. The toilets are so poorly signed that I walk past the ladies door every time... and I’m often in the MEL business lounge more that twice a week. Sounds like you need to fly with another airline. Agree with you re: BNE Business Lounge. The food is terrible and the same all the time. Worst Mexican food I've tasted. When are they going to change the menus? The soups aren't bad, but the swill/stews they serve are gross. I think it’s a great lounge. Not sure what people’s expectations are regarding both the business and Qantas club lounge. Spend some time in a few admirals clubs or China “vip” lounges and you realize how good these are for domestic. The worst thing about Qantas Club Melbourne is the food. Qantas must have a share in beans. Morning hot food = baked beans. Lunch = Bean soup. Dinner = Beans with rice. Today was even better. For lunch they placed ketchup with beans. We pay thousands of $$ a year to Qantas for beans. Thanks Qantas. The hyperbole in this thread is hilarious. 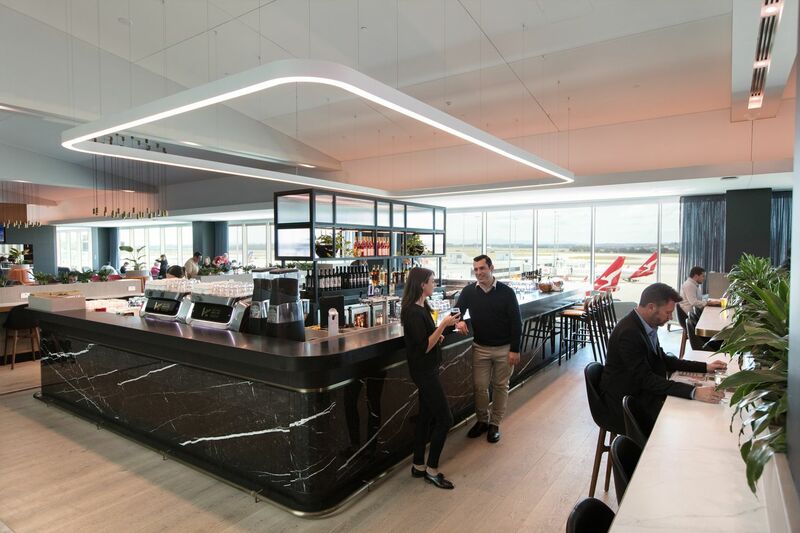 There are certainly issues with the new Qantas Club in Melbourne but it's a darn sight better than the old one, and for a domestic lounge network the Qantas Club and Business Lounges are amongst the world's best. As for the comment about the food resembling something served to homeless people - I work with the homeless regularly and they'd be ecstatic with a meal not even a quarter as nice as the food served in the Qantas Club. What an offensive comment and quite clear you've never had anything to do with the homeless. 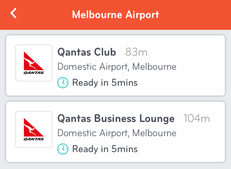 Comment on "Top tips for Qantas flyers visiting Melbourne's domestic lounges"